David Lang, 2012, Television Food Network, G.P. On Episode 5 of Worst Cooks, Carla gives it her all to impress Bobby Flay. 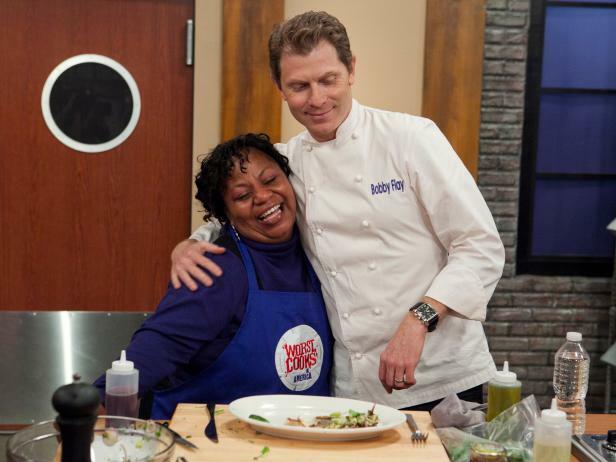 On this season of Worst Cooks in America, there were two competitions taking place: the one all of the recruits faced as they tried to become the best of the worst in the kitchen, and another that was Carla's alone, the one to win Chef Bobby Flay's love once and for all. Week after week, fans watched as Carla strutted her stuff for Bobby, adding heart-shaped honey designs to her plate, making gelato and a burger with some of Bobby's favorite flavors, and unabashedly flirting with him, all to prove to her Blue Team mentor that she's the only girl for him. Surely not shy about her feelings, she was shameless in her romantic attempts, and even though he's married, Bobby couldn't help but offer her a few friendly hugs in return. "The secret that I'm going to use is that I'm in love with Bobby Flay," she said confidently during the premiere episode of her plan to dominate the challenges. Although her strategy may have been successful for five weeks of Boot Camp, it was ultimately too good to be true, and on Sunday, she was asked to turn in her apron. After learning that she'd be leaving the competition — and her culinary crush — only two weeks before the finale, she was heartbroken, claiming this to be "another breakup," but she couldn't leave without telling him, "I still love you, Bobby Flay." Want to relive Carla and Bobby’s top moments together during Boot Camp? Click the play button on the video above to watch an adorably comical clip of their well-meaning relationship. Tune in to Worst Cooks in America on Sunday, March 24 at 9pm/8c to watch as the final four recruits compete for a spot in the finale. 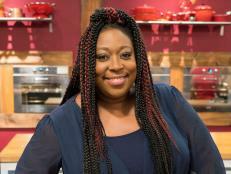 Get to know Loni Love, TV show host, comedian and celebrity recruit on Worst Cooks in America: Celebrity Edition.